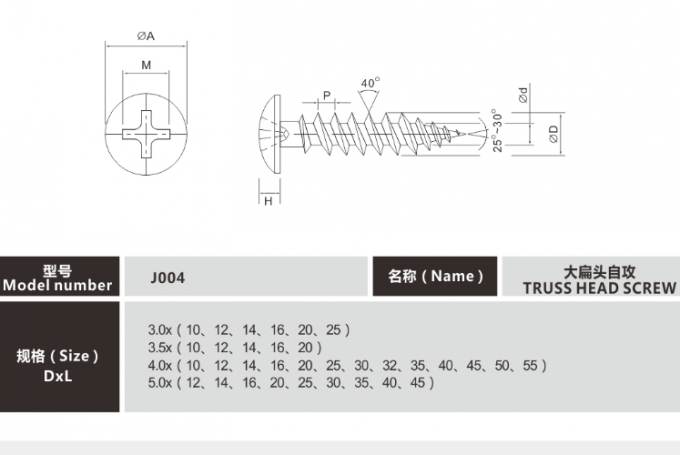 Pan Head / Truss Head Screw is one of self tapping screw which made by 1022A carbon steel With Head Treament . Normal Diameter of Pan Head Screw is 3mm 3.5mm 4mm and 5mm. And the length is from 12mm-100mm .The surface treament of our drywall screw is white zinc yellow zinc blue zinc and black oxide .Angle of the teeth for pan head screw is 40 . It mainly use in office furniture making . 1. Use a phillips screwdriver to drive screws . 3. 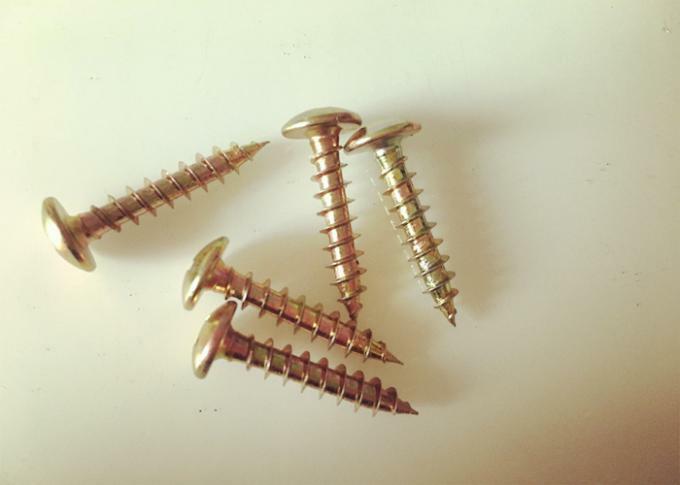 Do not use a sharp tool or bladed tool to drive the screws . 4. Do not scratch the screw in harden something in order to keep bright surface . 5. Keep screws in the dry warehouse .